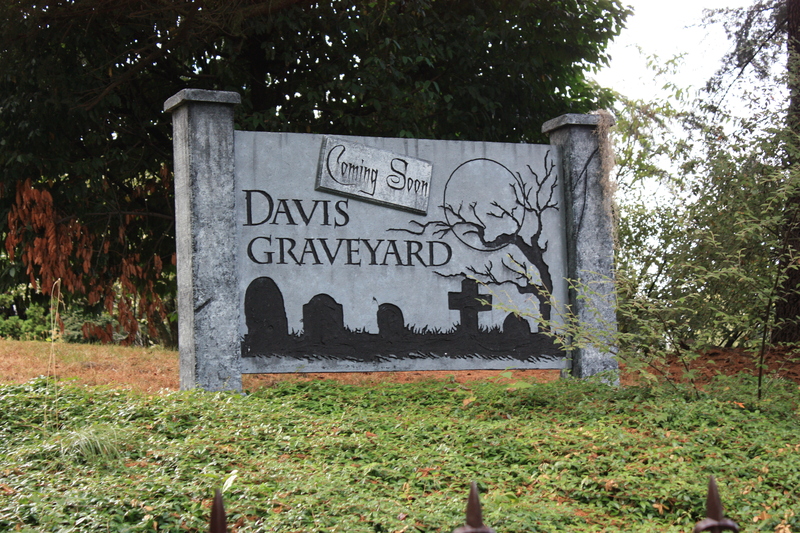 You may have noticed we have put up the Graveyard sign that is lighted each night. You may have also noticed the Abbey structure up a month early and if you are paying extra attention you might have seen the crypt wall along our back fence. All signs that the graveyard will be setup soon. We setup the Abbey a month early to make some detailed improvements to it that you can see in October. We will be setting up the entire display Saturday-Sunday September 28-29th. Site contents copyright © 2013 Davis Graveyard unless otherwise noted. All Rights Reserved.